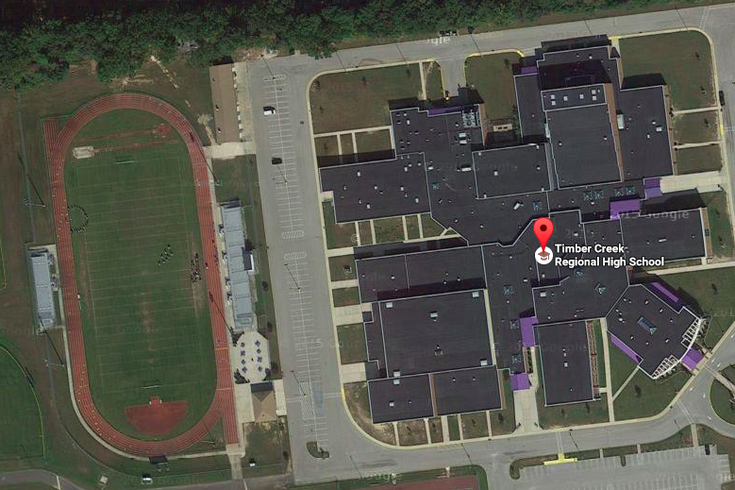 Timber Creek Regional High School. Authorities have decided not to file charges based on anonymous accusations that a South Jersey high school football team was illegally recruiting players. The Camden County Prosecutor's Office announced the decision not to prosecute Timber Creek High School football coaches on Friday. An investigation had been launched into the program's recruiting methods after a group of anonymous parents, coaches, educators and others sent a 13-page letter to prosecutors alleging that the school's coaches were, among other things, giving students fake addresses so it appeared they lived in the Black Horse Pike School District and could therefore play for Timber Creek. Prosecutors said that after investigating multiple leads from the group — called Stop Taking Our Players (S.T.O.P.) — as well as their own leads, they found no evidence of criminal misconduct from Timber Creek coaches. However, the investigation did uncover "residency discrepancies in transfer documents" submitted by the district, prosecutors said. Although charges are not being filed, all evidence uncovered in the investigation has been turned over to the New Jersey State Interscholastic Athletic Association, the state's governing body of high school athletics. In a letter to parents in August, Black Horse Pike Superintendent Brian Repici said they were fully cooperating with Camden County prosecutors. "We want to ensure that every student enjoying the benefits of receiving an education from our High Schools is legally residing within our District boundaries and entitled to an education in our District," Repici said.